Hallelujah - it's Easter today! 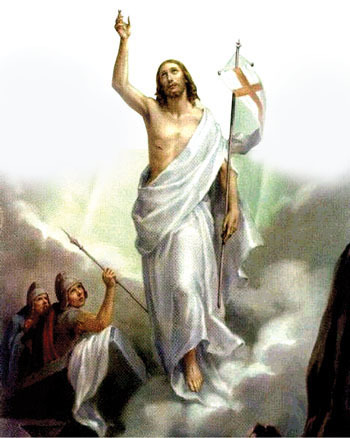 Easter commemorates the resurrection of Jesus Christ. It is the most important Christian festival, and the one celebrated with the greatest joy. The date of Easter changes each year, and several other Christian festivals fix their dates by reference to Easter. Three leading astrologers Piyasena Rathuwithana, Albert Sudasinghe and Manjula Pieris give their respective forecasts according to the planetary changes that occur in the coming year, and the effects on the country and the Sunday Observer readers. The forecast for each individual Zodiac signs is given by Piyasena Rathuwithana. The Sarasaviya Film festival which celebrates its 31st year is a mother of all film festivals in Sri Lanka. Having been taken off the ground as far back as 1964, it remains though it had its own ups and downs, to its founding ideals of fostering and appreciating the Sinhala cinema and also as the jewel of Sri Lankan film festivals.